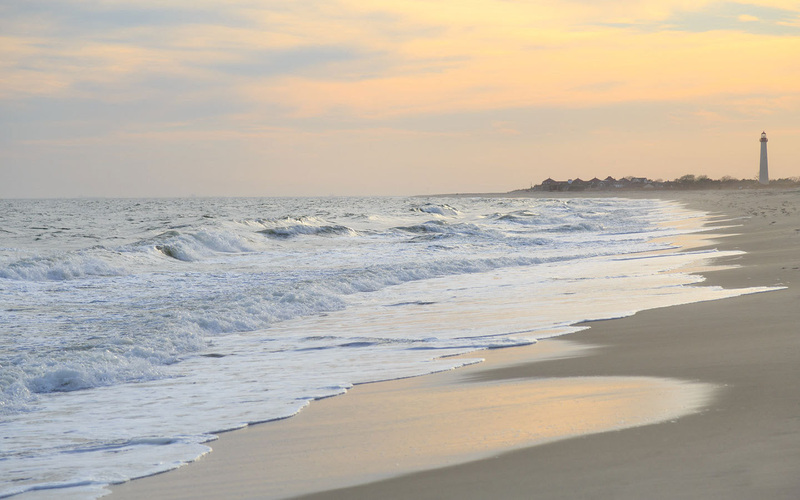 Though it still feels like summer in Cape May as I write this, Fall is officially upon us. Some might think that would mark the end of the “season” in a beach town like Cape May, but the informed Cape May visitor (that’s you!) knows that the fun is really just starting. The Food & Wine Festival, which wrapped up last weekend, is merely the first of several wonderful, activity & fun filled events that are celebrated every Fall in Cape May. I’ll be telling you all about them in this latest, thrilling installment of our newsletter. I was stunned when I realized that I had NEVER featured this beautiful room in any of our newsletters. Charing Cross is a wonderful 2-room luxury suite located on the second floor of the rear section of Prince Albert Hall. It has a queen sized bed, beautiful antique marble top furniture, a huge private bathroom featuring a one-person whirlpool tub with integrated shower, and a comfortable sitting room with a day bed, which allows for an occupancy of 3 people. Charing Cross is a very quiet, peaceful room, and is a great choice for just about anybody. It has a private entrance from the steps up from the garden, and is conveniently close to the Prince Albert Hall beverage pantry, dining room, and roof deck. Last year we added an additional zone of air conditioning for the sitting room, to make it even more comfortable, especially when a 3rd person is occupying the day bed in the front sitting room. Anna Marie and I wish to express our most sincere thanks for your help in voting us the “Best of Cape May” for the 10th straight year. I know I’m a little biased, but I truly feel that all of these things are true. We’re pleased that you feel they are too. We want you to know that we don’t take your votes for granted. We’re always looking for ways to improve The Queen Victoria, and your experience here to earn your vote. Both of the these packages can be upgraded to larger rooms at similar savings. The Mid-Atlantic Center for the Arts & Humanities (MAC) is presenting the latest in their Lessons of History series, featuring Admiral Thad Allen USCG (retired), 23rd Commandant of the Coast Guard. He will be presenting “Always Ready: Stories of American Leadership and Unity During Crisis”. Admiral Allen’s noteworthy Coast Guard career was punctuated by two extraordinary assignments, which are exemplary of the Coast Guard motto Semper Paratus (Always Ready). In 2005, President Bush placed Admiral Allen in charge of Hurricane Katrina onsite search-and-rescue and recovery efforts, due to Allen’s demonstrated leadership capabilities. Given his reputation for successfully dealing with a National crisis, in 2010, President Obama assigned Admiral Allen as National Incident Commander to take charge of the total Federal government response to the Deepwater Horizon oil spill in the Gulf of Mexico. 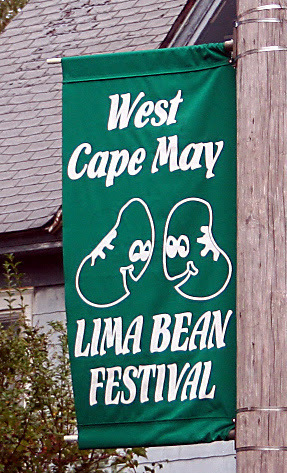 Yes, believe it or not, the borough of West Cape May, just a few short blocks from The Queen Victoria, actually pays homage to the lowly Lima bean every October. This year’s event will actually be the 32nd annual festival. West Cape May will celebrate just about anything, I guess. Actually, Cape Island used to produce a LOT of Lima beans in days gone by, which is as good a reason as any for a festival. So what happens at the Lima Bean Festival? Like the Tomato & Strawberry Festivals that West Cape May also holds each year, there will be lots of arts & crafts vendors. There will also be food vendors, some of which in the past have served Lima Bean Soup, Lima Bean Chili, and Barbecued Lima Beans, in addition to lots of more traditional festival foods. In years past, we’ve had guests who have found lima bean earrings. Who knows what treasures you’ll be able to find? 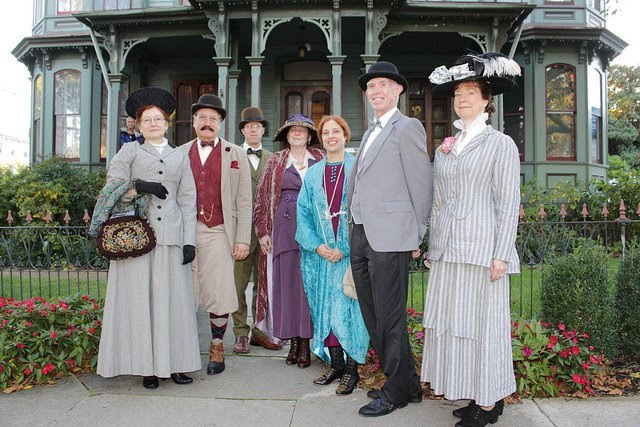 Twice each year Sherlock Holmes returns to Cape May to Sleuth his way through a new mystery. Thankfully, he and his crew invite about 100 guests to join him in his efforts. This event is always one of the most enjoyable of the year, providing participants with 3 wonderful days of entertainment and an excellent excuse to visit Cape May. It starts out on Friday evening with the first act of a new Sherlock Holmes mystery, where Sherlock and Dr. Watson will introduce you to the mystery. The fun continues Saturday afternoon during the “Hunt for Clues” self guided tour, where you’ll be welcomed into several Cape May bed and breakfasts to search for clues to the mystery. The cast of the previous night’s performance (in character) will be searching for clues as well, where they’ll be available to discuss the mystery with you. Following the tour you’ll return to the original scene of the crime for the 2nd act of the play, where you’ll get to compare notes and thoughts with Sherlock. On Sunday you’ll enjoy a lunch and discover “who dunnit”, when Sherlock reveals the solution to the mystery. You’ll turn in your results and if your thinking and analysis matched Sherlock’s, you may just win the grand prize. There are also prizes for best costume (yes, some folks will dress as their favorite Holmes characters), and for the “Clueless Wonder” … the absolute worst solution to the mystery. This really is a fun weekend. We’re always one of the B&Bs on tour, so you might just have a little bit of an insider’s edge as you hunt for clues at The Queen Victoria. Be sure to book your room directly with The Queen Victoria to get the best rates and room choice. Don’t wait too long, however, as we are booking up, and participation in the event is limited. Insider Tip … This is also “Restaurant Weekend”, when many of our wonderful local restaurants offer great discounts on their amazing lunches & dinners. The Exit Zero Jazz Festival is returning to Cape May this Fall. I have to say that this November’s lineup is probably one of the best yet, featuring yet another mega-jazz group “Four Play”, as well as an incredible array of talented performers. The lovely lady featured in the photo to the right (she is much more photogenic than the four gentlemen who make up Four Play), is Sasha Masakowski, who’s voice is truly captivating. In fact, I’ll admit that I got rather wrapped up listening to her music as I was doing a little research for this write-up. If you’re a Jazz fan, then you seriously need to start planning your weekend in Cape May (at The Queen Victoria, of course). This is going to be 3 incredible days of music that you won’t want to miss. I think most of you know that Christmas is a pretty big deal in Cape May. I usually refer to our fair village as “Christmas Central”. It really is a magical time to visit Cape May, whether you celebrate Christmas or not. Just imagine all of the beautiful Victorian homes in Cape May all dressed up for Christmas. As you can see from the picture above, we go all out with the decorating, both inside and out. Yes, Christmas gets an early start in Cape May with the Christmas Preview Weekend on November 17-18. While not every home in town will be fully lighted by then, all of the really special ones (like ours!) will be. Anna Marie and I always commit to being completely decorated, both inside and out, by Thanksgiving. As you can see, there is a lot going on in Cape May during the Christmas season. I know that for many of you Cape May is simply part of your Christmas tradition. If you haven’t experienced it before, I highly recommend working it into your calendar some day. This year would be a great time! Though I find it incredibly difficult to walk into a Christmas shop before around November of any given year, it is NEVER too early to start planning a Christmas visit to The Queen Victoria. That is especially true if you want to experience this wonderful, festive event. 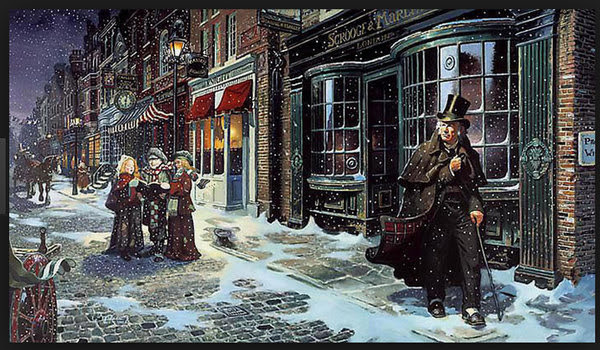 The Dickens Christmas Extravaganza is a 3 day festival filled with tours, feasting, entertainment and fun. It is also a tremendous value! The value starts with the 3 days of programming and 2 dinners, all for $175/person (1 of the dinners is the “Welcome Dinner” and is not technically part of the event. Anna Marie and I treat our guests to a festive, fun dinner at the Merion Inn to kick-off the event.). 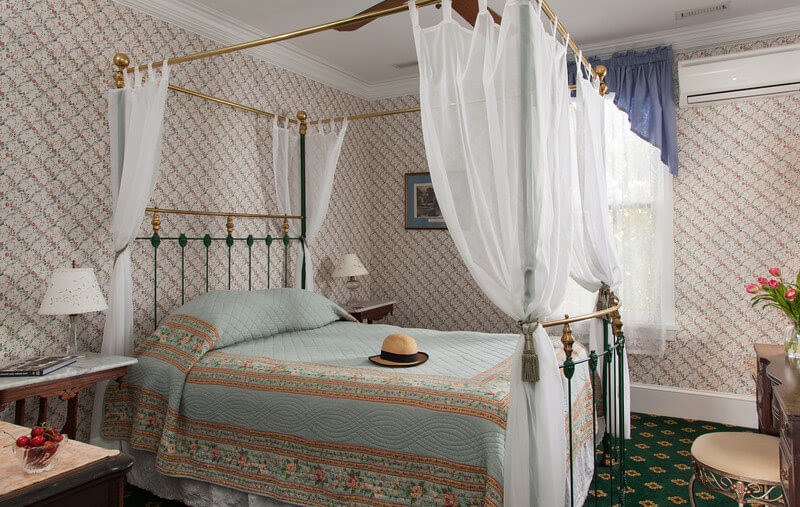 The value continues at The Queen Victoria, with the special “234” discount package that we offer, making it incredibly affordable to stay at your favorite Cape May B&B. This year’s event once again features the renowned and wonderfully entertaining Dickens & Victorian era scholar Dr. Elliot Engel, who has been captivating audiences all over the world with his interesting and unique approach to history and literature for decades. Last month I featured the new siding on the side of our Prince Albert Hall which faces our bicycle courtyard. It turns out that this beautiful building has been getting a LOT of attention this year. For the last month or so we’ve been working on the rear of the building. Even though it is a part of the inn that few of you will ever see, we’ve been devoting a lot of energy, time & money in restoring it, as it was in serious need of attention. Once again, simply repainting was not an option. Whenever you see the scaffolding out (actually, this is a “pump jack”), you know it is a serious project. As you can see, we stripped all of the siding off the wall and started re-siding it from the ground up. In addition, we installed new corner boards on both ends of the wall, added flashing around Kew Garden’s Fireplace exhaust, replaced all the window trim, and re-flashed the window caps with copper flashing. This project will be wrapping up in the next few days as we take the siding up to the top and then repaint the entire surface (we painted the siding before installation, but a final coat is always a good idea). Once this is complete, we’ll also be re-planting our “Secret Garden”, which is found alongside this rear wall of the Prince Albert Hall building. I’m not sure if it is possible to have too many sunset pictures of the lighthouse from the “Cove” beach. I know I never tire of them. Personally, I prefer to watch the sunset from the end of Beach Avenue at the Cove rather than from Sunset Beach. No, you don’t get to see the sun drop into the Delaware Bay here, but there is so much more texture to the view from this perspective. You still get to see the sun disappear (into the trees), but you also get to see all the beautiful reflections of light off the waves sliding back off of the beach, and see the lonely looking light house in the distance. It is always special. Even if you are not really a tea drinker, it is hard not to get caught up in tea when you start sampling some of the wonderful Harney’s Teas that we serve at The Queen Victoria. They really are amazing! What you may not be aware of, is that MOST of the teas that you love so much at Afternoon Tea are also available in our gift shop. As you can see in the picture to the right, they are beautifully packaged in decorative tins, which will look as great in your kitchen as they do in this photo. They also make a terrific gift for your loved ones that love tea, or for the generous family members and friends who watch your children and/or pets while you are enjoying a getaway to The Queen Victoria. Over 2 million people have climbed the 199 steps to the top of the Cape May lighthouse since it was opened to the public in the early 90s. 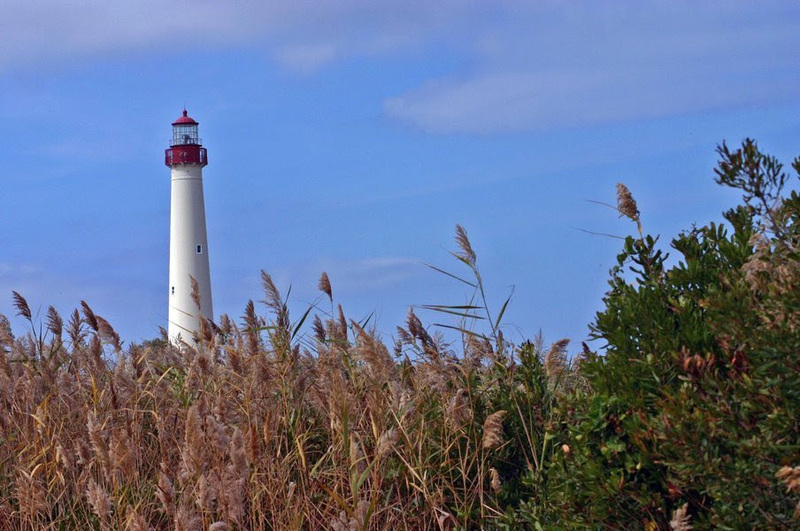 The lighthouse continues to be one of the most popular attractions in Cape May every year. The lighthouse is located in Cape May Point State park. It is a pleasant excursion from The Queen Victoria, whether you walk the 2 miles along the beach, or take a 3.5 mile ride on one of our bicycles. I know that 199 steps might sound a little daunting, but it is honestly not too bad. There are 5 large landings where you can take a little break, look out the window to enjoy the view, and read the story boards that display what the view out that window might have been in days gone by. If you happen to be a member of MAC (the Mid Atlantic Center for the Arts), then admission to the lighthouse is free! Cape May is chock full of “fine dining” restaurants, which create the reputation Cape May has as a “foodie” town. Sometimes, though, it is fun to enjoy something a little more low-key, but still tasty. Anna Marie and I have recently rediscovered the Cape May Fish Market as a great place to go for a casual dinner, especially if you don’t have reservations anywhere on a busy night. We’ve enjoyed several meals there this year, each one as good as the last. Pictured above is Anna Marie’s favorite “go-to” meal, the Broiled Seafood Combination. It is loaded with a wonderful variety of fresh, local fish, including flounder, scallops, shrimp and a crab cake. She LOVES it. I’ve grown quite fond of the Fish Taco, which is a filet of fried flounder rolled up as a wrap with lots of cheese, lettuce and chipotle seasoning (full disclosure … it is hard to find on the menu). Entrees are served with a selection of sides. I usually get Anna Marie to order sweet potato fries as one of hers so I can steal them from her, since the fish taco only comes with potato chips. The Fish Market is located on the Washington Street Mall, a short walk from The Queen Victoria. It is a BYOB restaurant, which you know makes me happy!